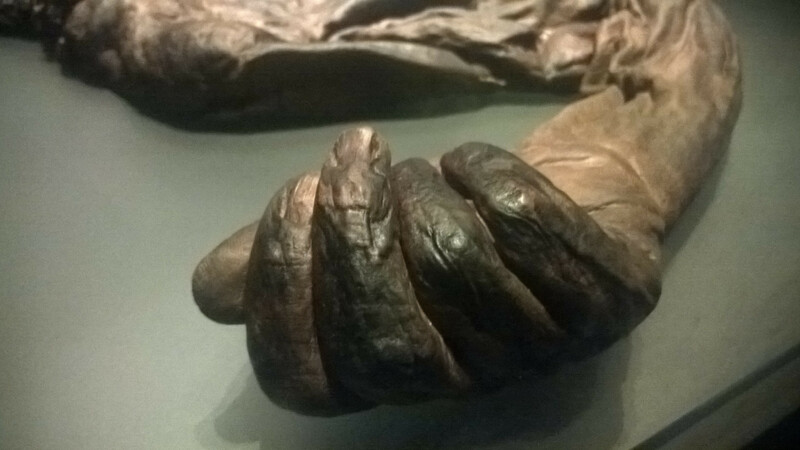 It's fascinating how much human skin resembles leather, especially after it's been buried in peat for a while. 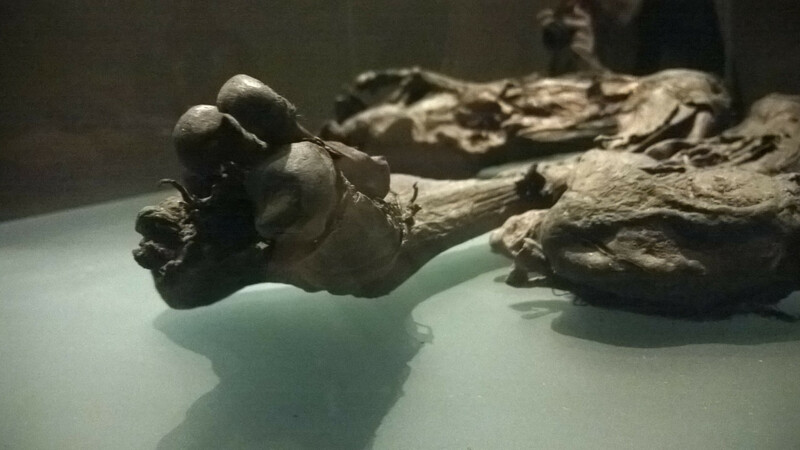 It's strange, how they were hidden in these bogs with one type of reverence, and then exhumed thousands of years later and displayed with an altogether different, but no less valid reverence. Is this the afterlife they had in mind? Glass cases and peering faces and speculation about how they lived and who they were wrapped in a soundproof baffle and illuminated by gentle downlights? We are like gods to them. We can build their faces from their skulls and look inside them without cutting them, and the only reason we even find then is because we dig their resting places to fuel the insatiable fires of our industry. We know this man had red hair and ate plants. We know that he was 25 years old, and five foot nine. We know - we can see - that he had toenails and kneecaps just like us. But we don't know who he was. We have his brain, but we don't know what he thought. We have his tongue, but we don't know what he talked about. We have his ears, but we don't know who he listened to. In a weirdly dualistic way, we know so much about his physical form, but nothing about his soul. We know where we found him, but we don't know why. Dropping a murdered man into a bog seems nonsensical, but it's just predicated on a system of symbols, and an understanding of how the world worked, which we don't have access to any more. They arrived at the traditions they did, the symbols they did, in a context which made perfect sense to them, no matter how inscrutable it seems now. I'm aware that this is a reverent experience primarily because I'm making it one. 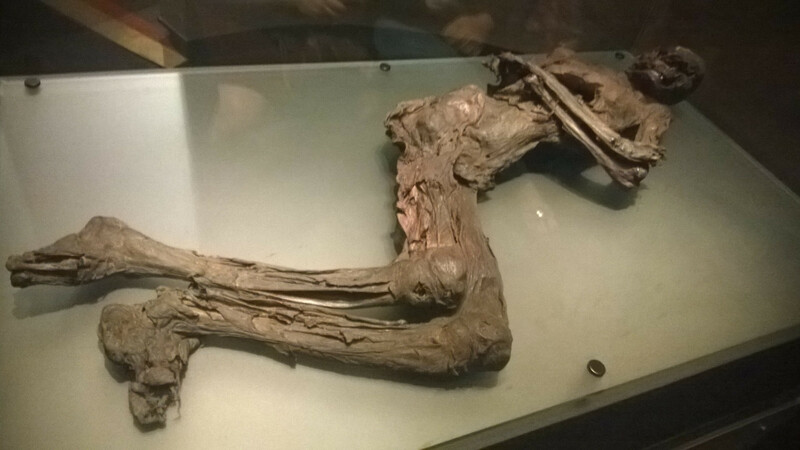 In the words of one American tourist, it is just "a half a dead guy." And yet. I've got a confession to make: I'm doing this because of poetry. It's not even poetry I read of my own volition, it's poetry I studied in school. 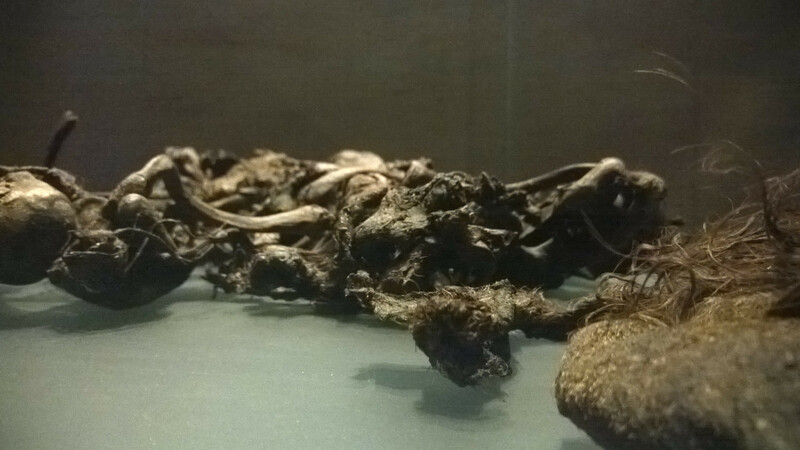 Reading Heaney's Bog Queen while walking past the hall of torcs is the same kind of religious experience as listening to Stonehenge at Stonehenge, albeit a little more highbrow. This post also inspired by the ice man episode of Radiolab. Give it a listen, if you haven't already. 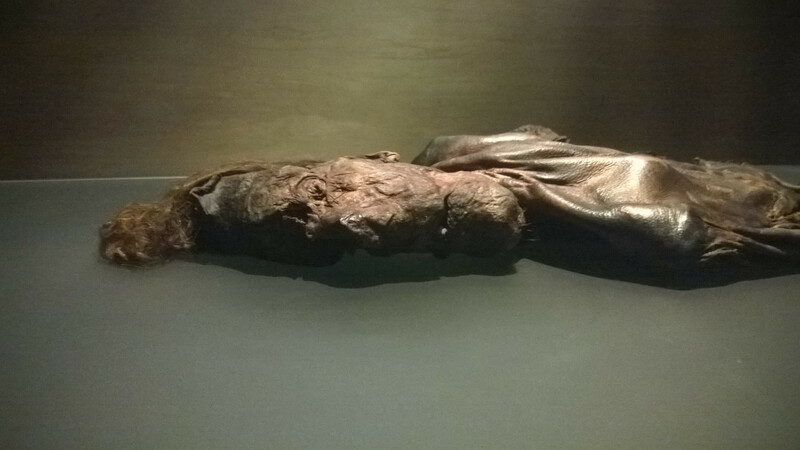 If I can finish on a lighter note: Gallagh man was found strangled with a willow rope, naked but for a leather cape and a gold tooth and dumped in a bog to be preserved for two thousand years. I can only dream of achieving that level of badassitude. in the cavings. of stomach and socket. Till a peer's wife bribed him.